As Governor from 1942-1947, Ellis Arnall was considered one of Georgia’s most progressive modern politicians. Arnall had many progressive accomplishments while in office, many of which hurt his image among white Georgians. 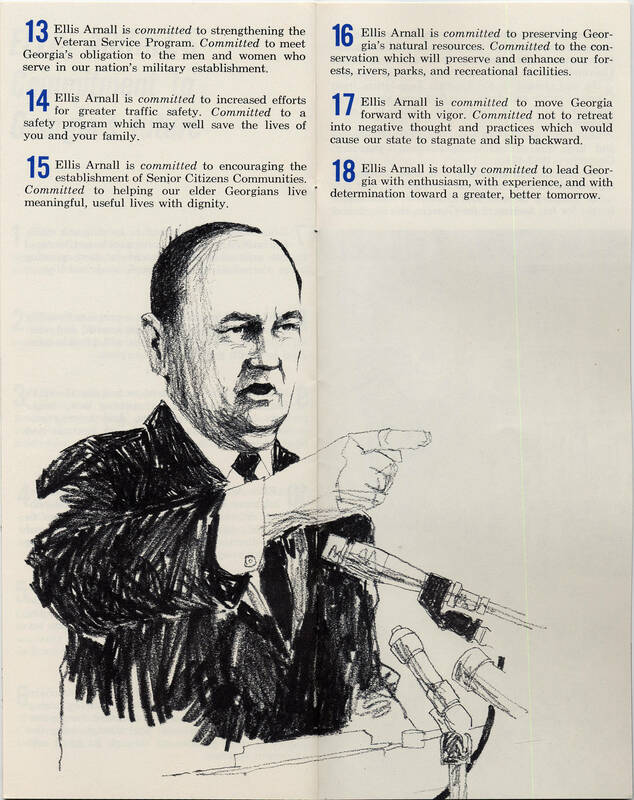 After his tenure as governor, Arnall worked for the Truman Administration and came back to run for governor in 1966. 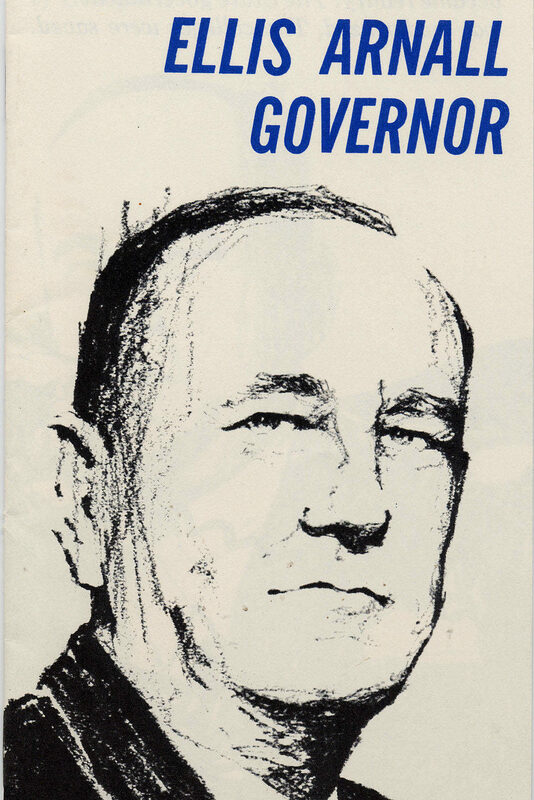 This campaign booklet is from his 1966 run, but it highlights many of his accomplishments during his earlier career. What is different about the points Arnall highlights for his campaign? Why might Eugene Talmadge, his successor, have hated Arnall so much? Ellis Arnall Campaign Booklet. 1966. 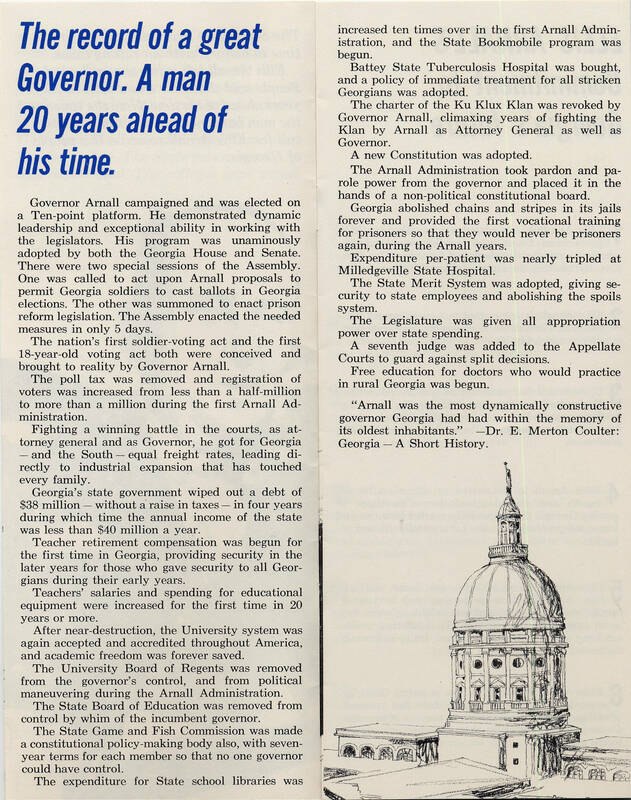 From the Georgia Archives Campaign Materials Collection. 2009.01.0040. Page 3. Ellis Arnall Campaign Booklet. 1966. From the Georgia Archives Campaign Materials Collection. 2009.01.0040. Page 4. Ellis Arnall Campaign Booklet. 1966. 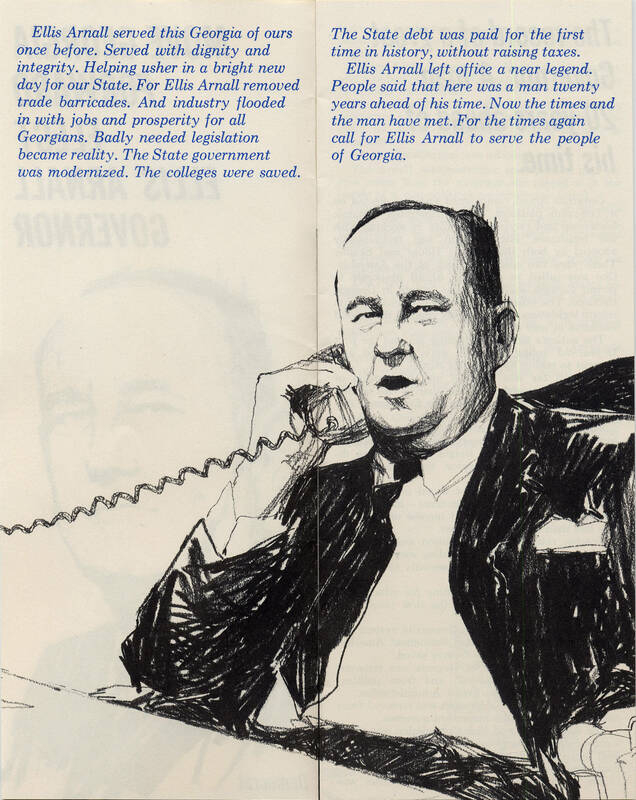 From the Georgia Archives Campaign Materials Collection. 2009.01.0040. Page 5. Ellis Arnall Campaign Booklet. 1966. 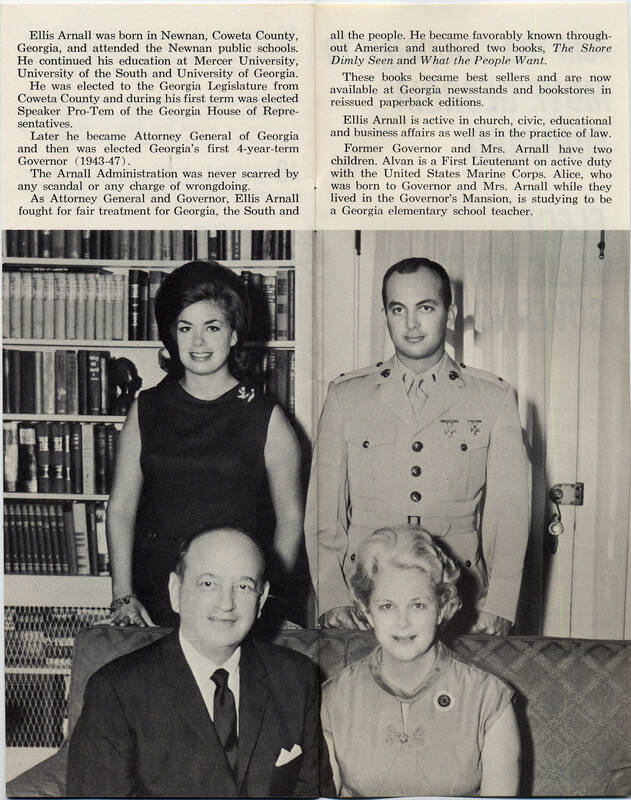 From the Georgia Archives Campaign Materials Collection. 2009.01.0040. Page 6. 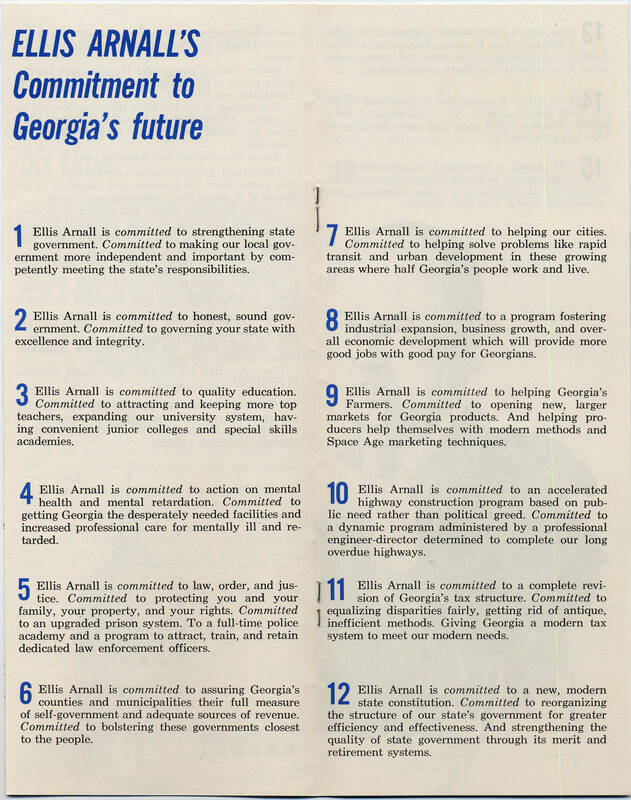 Ellis Arnall Campaign Booklet. 1966. From the Georgia Archives Campaign Materials Collection. 2009.01.0040. Page 7.